Panstasz and Ysbryd Games have announced cosmic horror retro RPG World of Horror is making its way to Nintendo Switch in 2019. The game will be playable at PAX West from August 31 to September 3 in Seattle, Washington in booth 6808. Check out the announcement trailer and details below. 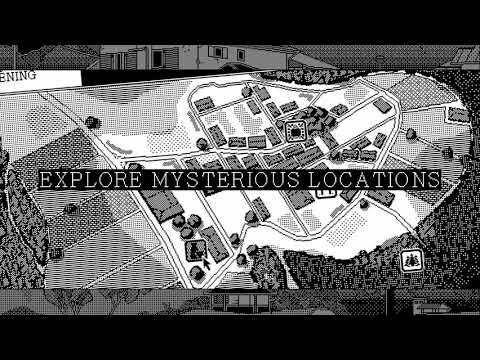 WORLD OF HORROR, the unsettling cosmic horror retro RPG from Panstasz and Ysbryd Games, weaves its dreadful tale on Nintendo Switch, PlayStation 4 and Steam for Windows, Mac and Linux in 2019. It will be available for hands-on demos at PAX West, taking place Aug. 31 – Sept. 3 in Seattle, Washington, in booth 6808. WORLD OF HORROR will be available on Nintendo Switch, PlayStation 4 and Steam for Windows, Mac and Linux. It will support English and other languages to be announced at a later date.